MITCH Brundle’s first half goal ensured the points were shared at Crabble on Tuesday night. The defender headed in Bobby-Joe Taylor’s free-kick to cancel out Justin Shaibu’s opener for a Boreham Wood side wearing Dover’s away strip from the Skrill South 2013/2014 promotion-winning campaign after their kit man arrived late due to heavy traffic. It was the visitors who went ahead on four minutes via top scorer Shaibu. The Brentford loanee latched onto debutant Charlie Cooper’s through ball and slammed the ball into the far corner past home stopper Lee Worgan. Dover’s misery did not last long and the Kent side were level just six minutes later thanks to Mitch Brundle’s seventh goal of the season. The skipper rose highest to head in Bobby-Joe Taylor free kick to restore parity. 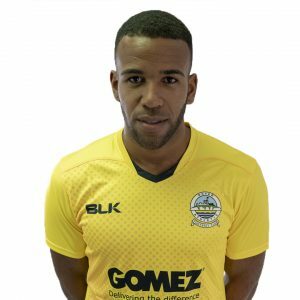 Anthony Jeffrey almost had Dover ahead five minutes before the break, forcing visiting keeper Ryan Huddart to tip his low drive wide of the post. Jai Reason was next to try from the edge of the box, but scuffed off target from Jamie Allen’s pass. It was almost 2-1 to the hosts just moments later when Alfie Pavey, searching for his third goal in as many starts, headed Danny McNamara’s accurate centre narrowly wide. 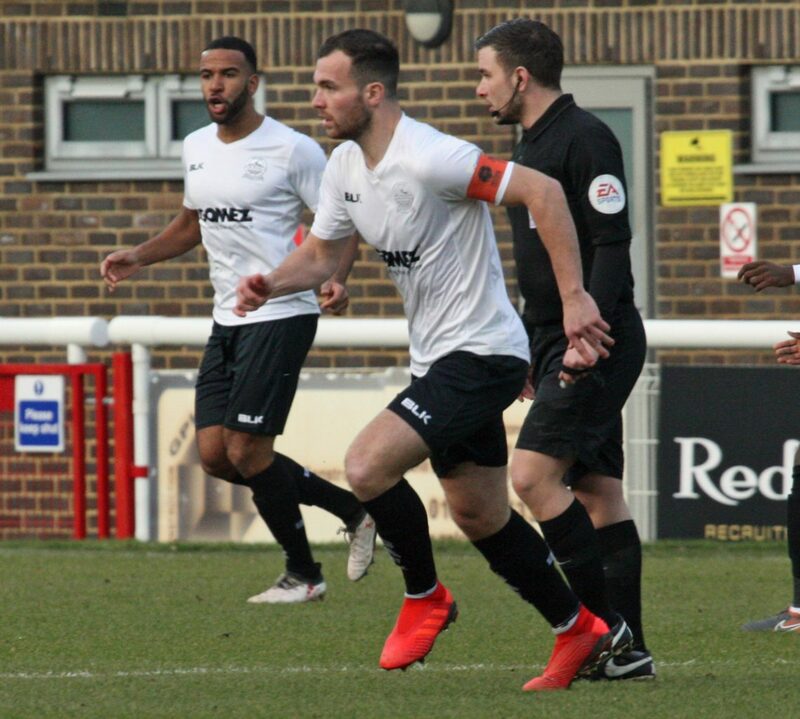 Following the restart, Allen was unable to connect with Pavey’s driven pass across the goalline and Kevin Lokko stabbed wide after Taylor’s set piece fell kindly for the centre back. Jamal Fyfield was left looking to the skies with Wood’s next chance. The defender slammed the ball goalwards, only to see Worgan fling himself to turn the ball over in spectacular fashion. 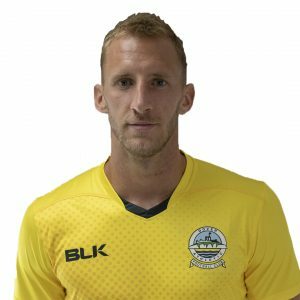 A lightning Dover counter-attack ended with Huddart saving Allen’s curling effort and later on Pavey mistimed his volley after Reason found the forward in space. Keiran Murtagh almost stunned the home crowd as he fired a long range strike into Worgan’s mid-rift. Substitute Inih Effiong nearly scored a stunning late winning, but smashed well over after a sprint towards the box. Luke Garrard’s men almost stole the win in injury time when Murtagh’s looping header struck the crossbar and bounced over for a goalkick. Earlier, boss Hessenthaler kept with the same side that started at Hartlepool on Saturday. Whites next host FC Halifax Town in the National League on Saturday 16th March, kick off 3pm.